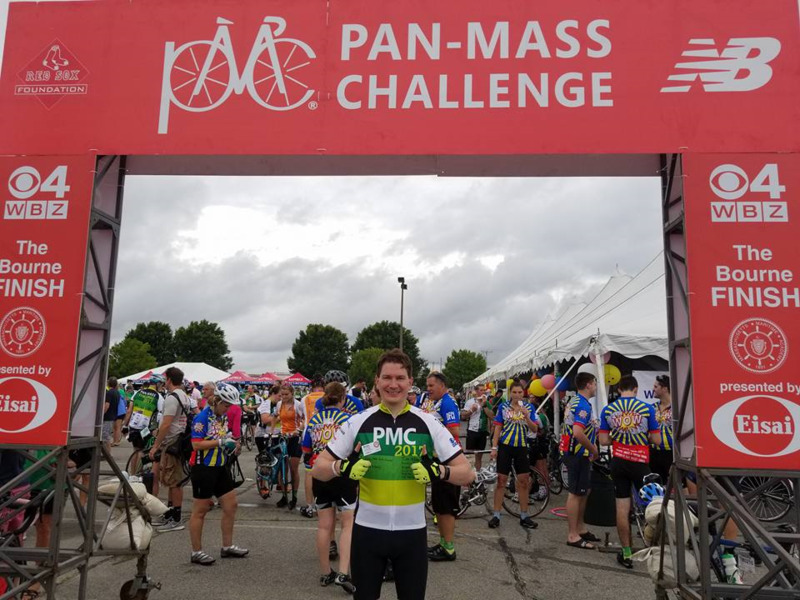 "But I Would Bike 84 Miles and I Would Bike 84 More..."
Last August, I joined over 6,000 other cyclists riding across Massachusetts as part of the 2017 Pan-Mass Challenge, an annual bike-a-thon that donates 100% of every rider-raised dollar to the Dana-Farber Cancer Institute. 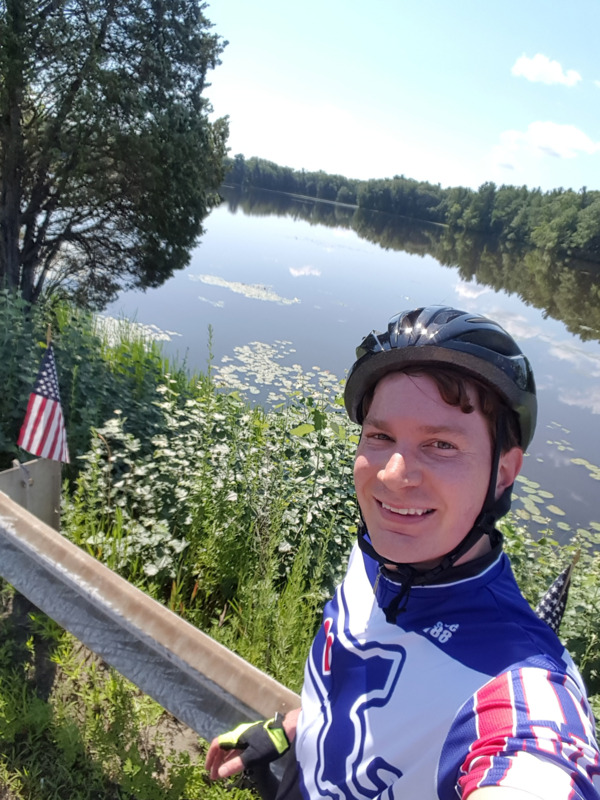 This was my first year riding in the PMC, and thanks to the support, encouragement, and generosity of people like you, I successfully completed the 84-mile route from Wellesley to Cape Cod and exceeded my fundraising goal of $4000. All told, participating in the PMC was easily one of the most memorable, meaningful, and important things that I did in 2017... So it didn't take long for me to decide that there needed to be an encore in 2018! On August 4th, with a few hundred miles of weekend training rides under my belt, I will once again clip into my pedals for the 84-mile journey from Wellesley to the Cape. Like last year, my ride will be dedicated first and foremost to the memory of my maternal grandparents, John and Laverne Rodcay, victims of colon cancer and glioblastoma, respectively. However, just like last year, they are not the only ones whom I would like to honor. Last year, I also dedicated those 84 miles to the survivors, the family members, the advocates, and those who had experienced their own scare moment -- in essence, anyone with battle scars from this disease, even if they weren't the ones under attack. Shortly after making this dedication, a series of eye-opening conversations began to happen out of the blue: friends that I had joked around with for years told me about loved ones they'd lost, high school classmates with whom I hadn't spoken in years revealed that members of their immediate family were currently undergoing treatment... the list went on. Conversations like these helped me more fully understand and appreciate the emotional weight that some of us quietly carry on our backs every day, whether we want to or not, and whether we're even aware that we're doing it. But more importantly, they helped connect me on a deeper level to friends that I knew well, to friends-of-friends that I knew only in passing, and even to a few people that I didn't know at all previously. So, that is why I am also dedicating my 2018 PMC ride to "the new connections" -- those deeper bonds between individuals that remind us of what we all share in common. 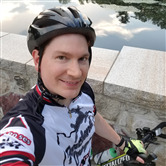 This year, my goal is to raise $50 for every mile that I ride (or $4200 total). As a member of the Patriots Platelet Pedalers fundraising team, the money that I raise supports the research of Dr. Kenneth Anderson, the program director for the Multiple Myeloma Center at the Dana-Farber Cancer Institute and a professor at Harvard Medical School. Dr. Anderson's research focuses on multiple myeloma and novel immune therapies, and has led to effective treatments for colon cancer, breast cancer, lung cancer, and ovarian cancer, among others. Please take a moment to support my ride, the Dana-Farber Cancer Institute, and Dr. Anderson's research with a tax-deductible donation, which you can easily make online using the blue buttons on this page. 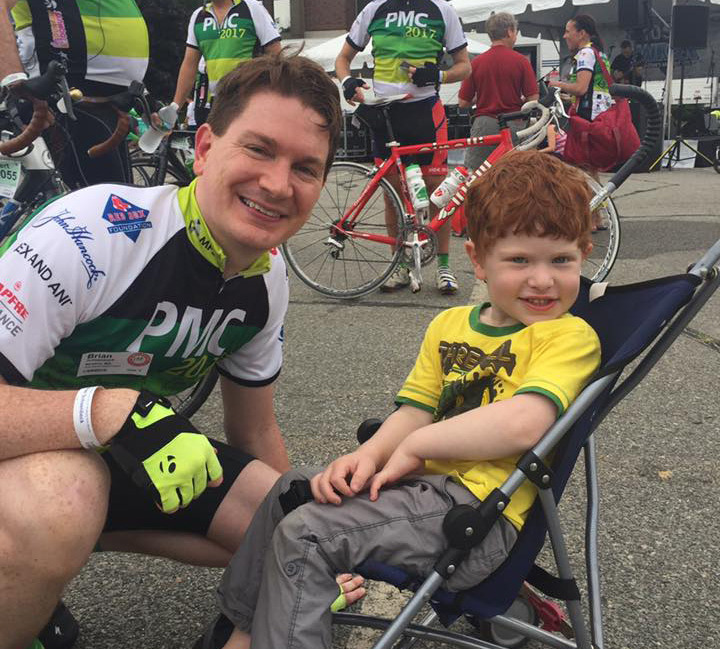 (If you'd prefer to mail a check, please make it out to Pan-Mass Challenge and mail it to the address at the bottom.) Any amount, no matter how small, will be greatly appreciated. If you would like to make your donation in memory or in honor of a loved one, please mention their name -- initials and pseudonyms are fine too -- and I will gladly ride with it on my jersey on August 4th. Thank you once again for your support, encouragement, and inspiration.